Who is going to marry Eugenie Grandet? This is the question that fills the minds of the inhabitants of Saumur, the setting for Eugenie Grandet (1833), one of the earliest and most famous novels in Balzac's Comedie humaine. 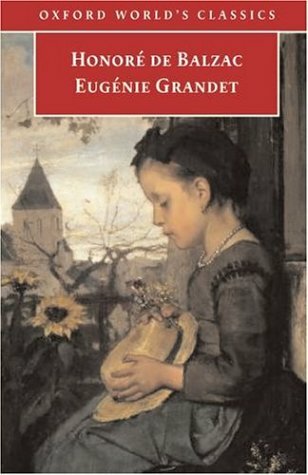 The Grandet household, oppressed by the exacting miserliness of Grandet himself, is jerked violently out of routine by the sudden arrival of Eugenie's cousin Charles, recently orphaned and penniless. Eugenie's emotional awakening, stimulated by her love for her cousin, brings her into direct conflict with her father, whose cunning and financial success are matched against her determination to rebel. Eugenie's moving story is set against the backdrop of provincial oppression, the vicissitudes of the wine trade, and the workings of the financial system in the aftermath of the French Revolution. It is both a poignant portrayal of private life and a vigorous fictional document of its age.